We’ve seen some almighty campervan conversions in our time, but none that come close to this Thunderbird 2 conversion. I remember as a child, watching the Thunderbirds and even having this exact aircraft as a toy. So seeing a piece of my childhood mixed with my adult interests really makes me go all gooey inside. 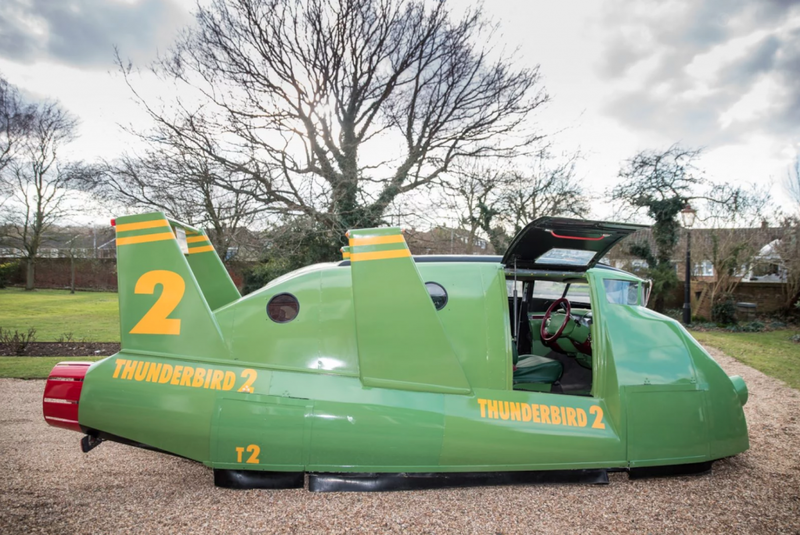 Now if you’re new to Thunderbirds, let me explain! 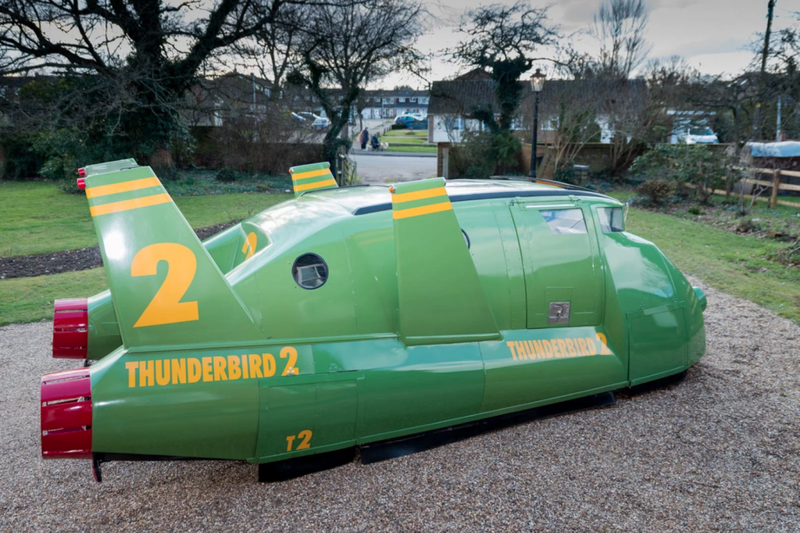 The Thunderbirds was a British sci-fi television series that aired from 1964 to 1966, and it famously used puppets to recreate all of its scenes, a bit like Team America. It ran for 32 episodes over two years and even after 1966 it was repeated hundreds of times, even into the 90’s. 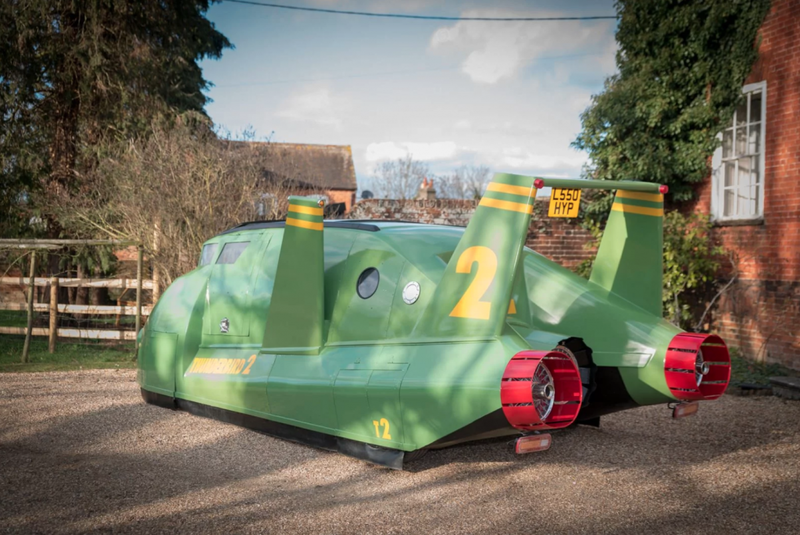 And we’ll be honest it was an absolutely amazing TV show that brings back some very cool childhood memories.Now you can bring those memories to life with a real life Thunderbird 2 camper van. 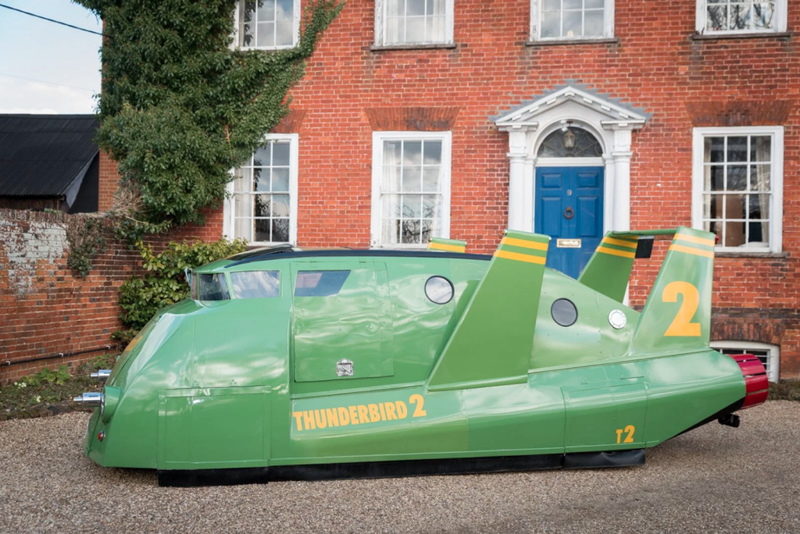 The Thunderbird 2 is a supersonic carrier that can blast at a whopping 6000 mph but cruises at a chill 2000 mph when it wants to. 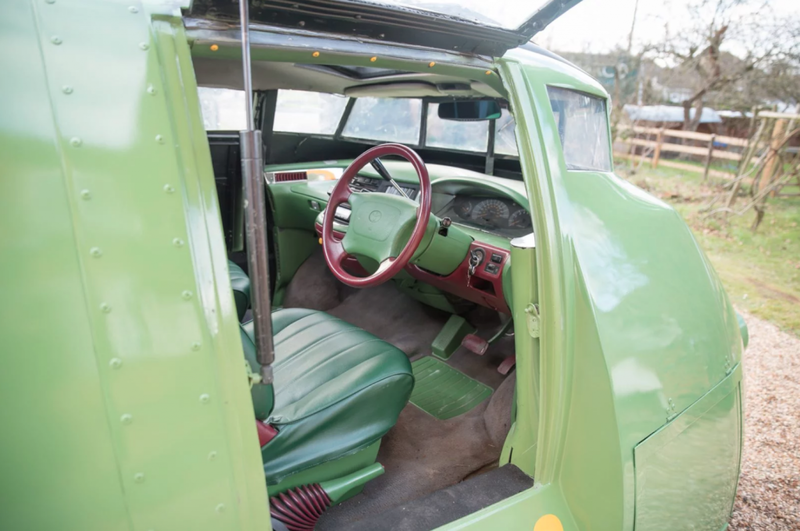 It was known for swooping in at quick response to deliver cargo, lift vehicles away or drop people off where needed. 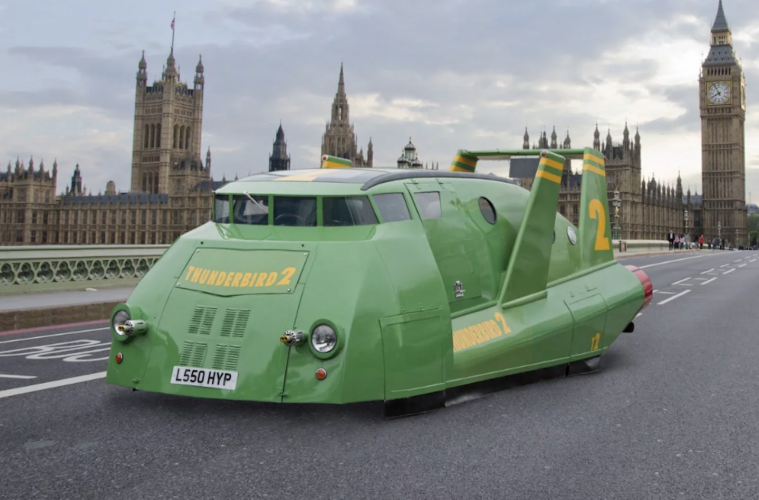 I’d like to call it the green camper of the skies. 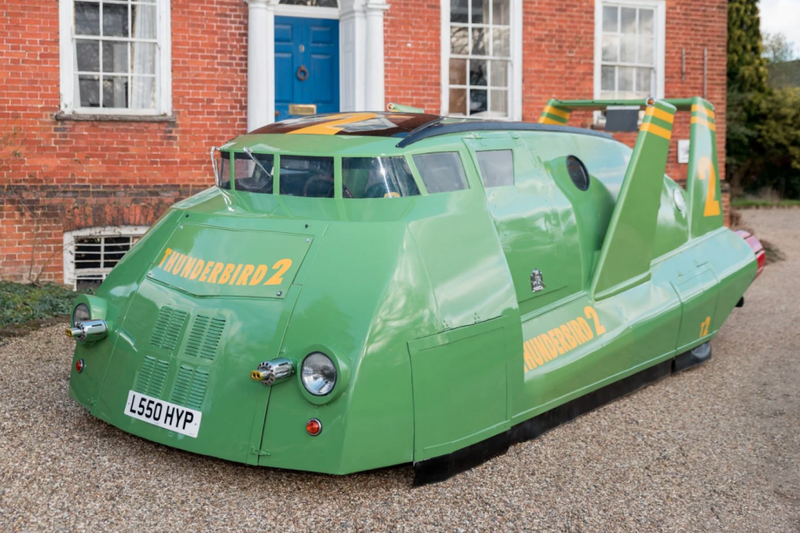 And yes before you ask this Thunderbird 2 is completely road legal. Underneath its metal body is a 1994 Toyota Previa, a 2438cc petrol automatic. It has a total of eight windows at the front giving you a view of all of your surroundings. 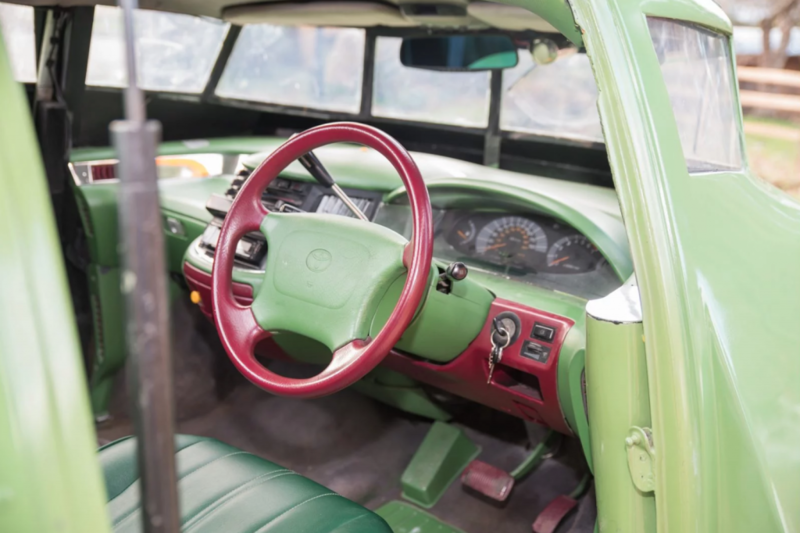 You also have your two doors that open up, bird wing style (we’re not sure what you call it), the interior has even stuck with its colour scheme making it an even closer replica to the original. 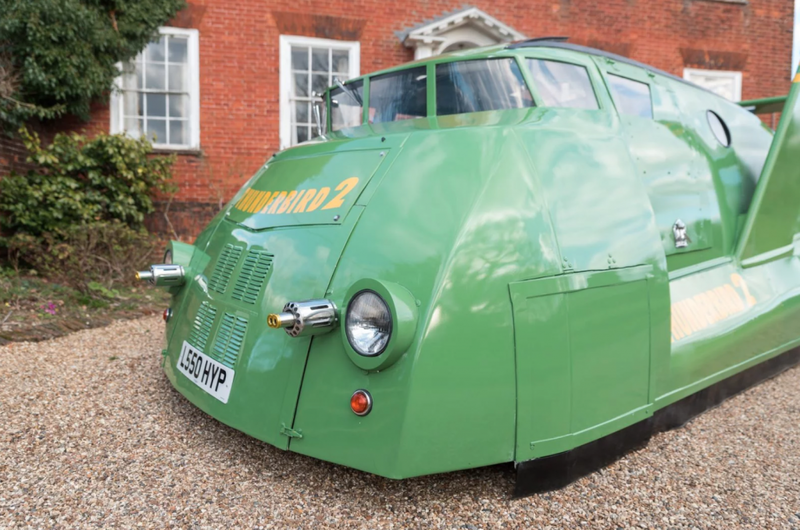 Everything about this is built to glow nostalgia!If you jump inside, you’ll see a number of features, one including a roof-mounted DVD system with a flat screen TV (to watch Thunderbirds on), a living room that transforms into a bed and a space for you to add a portable stove if need be!And the best part about it all, is that this exact Thunderbird 2 campervan can be yours for £35,000 (roughly $50,000). 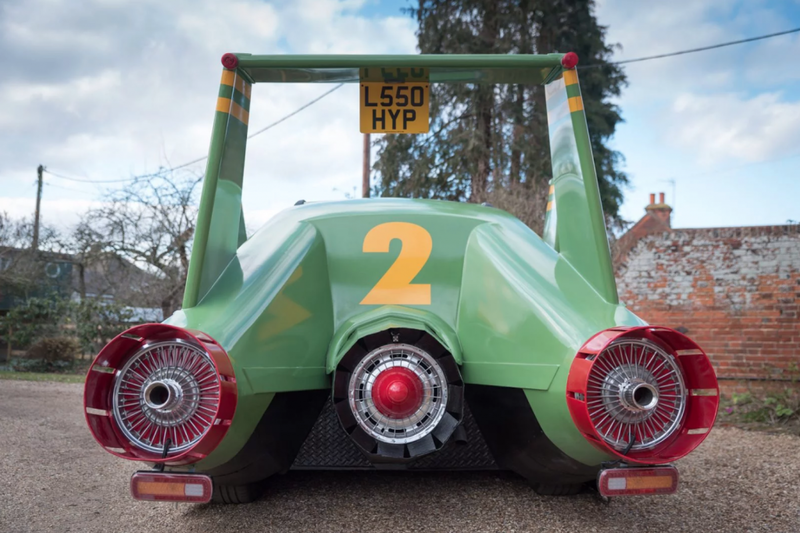 The owner is actually looking to sell this incredible promotional vehicle in the United Kingdom. so if any of you are looking to spice up your van life then this is one way to turn heads. You can find more info at the official listing here.